The Sheep Whisperer: Sheep Guardians! 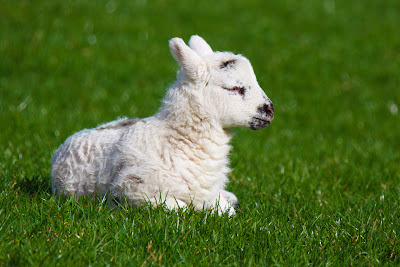 Did Ewe know that about 45% of sheep farmers use some form of livestock guardian to help protect their flocks from predators? 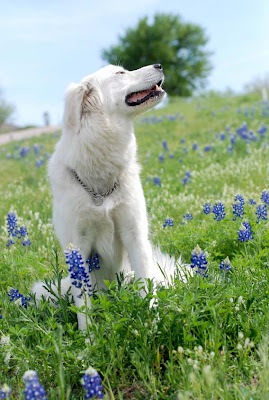 The truth is that guardian dogs are the most popular choice of farmers, followed by llamas, & donkeys. 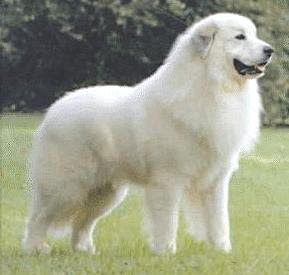 Farmers have preferred guardian dogs for centuries, with most guarding breeds originating in Europe & Asia. 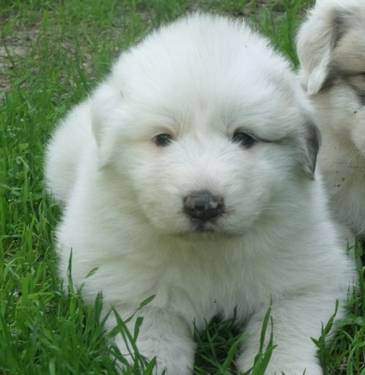 The one breed that we'll take a look at today is the Great Pyrenees, which originated in France. "I ain't nothing but a Guard Dog, barking all the time". I sense that Ewe are Friendly! 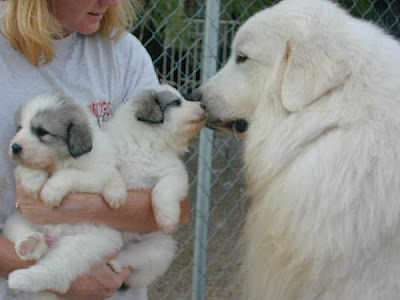 The use of Great Pyrenees as livestock guardians dates back to the shepherds of the Basque people of southern France in the Pyrenees Mountains. 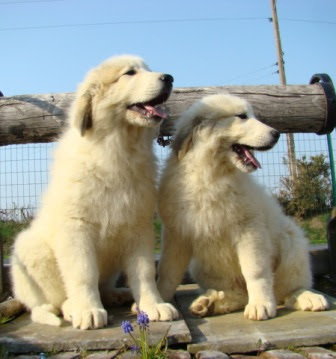 After briefly being described in 1407, the breed is again mentioned in 1675 by The Grand Dauphin, & the aristocracy of France, as their favorite breed of choice. 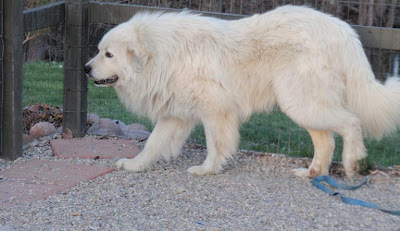 By the 19th﻿﻿﻿﻿﻿﻿ century, the dogs created a "buzz" in the mountain towns because of their sure-footed agility in guarding sheep on the steep mountainous slopes. Guarding sheep is what I do! The Hills are alive , with the Sound of Music! It takes two to "Tango" with the Predators! "I'm Big & Bad, & I don't back down from predators!" 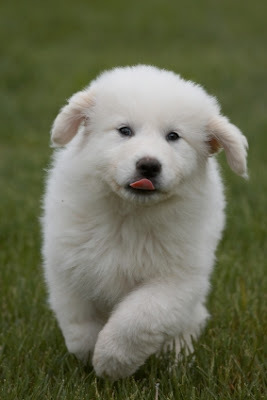 Great Pyrenees are an independent, strong-willed breed, that are quite attentive to their duties & extremely fearless! 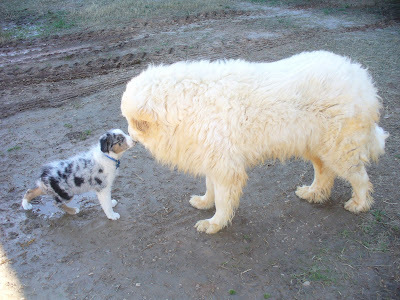 Their size alone is quite intimidating, however, owners also characterize them as being slow to learn commands, & difficult to train. 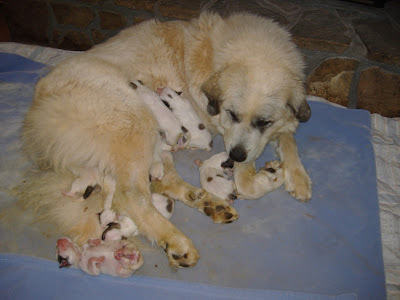 Their puppies do best when raised with sheep, enabling them to bond with them at an early age. Enclosed areas are the ideal environments for them to guard sheep inside of, & this breed will rarely turn on their masters. 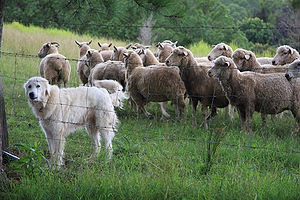 My best friends are SHEEP!. We still have time for family, even though we guard sheep at night! I'm ready to defend & protect! Do I look worried? My Guardian Dog & My Shepherd "Got my Back". More Help on the Way! Give them some "Time"! Walk securely today, knowing that the Good Shepherd has all the resources necessary to guard & protect Ewe, His beloved child!